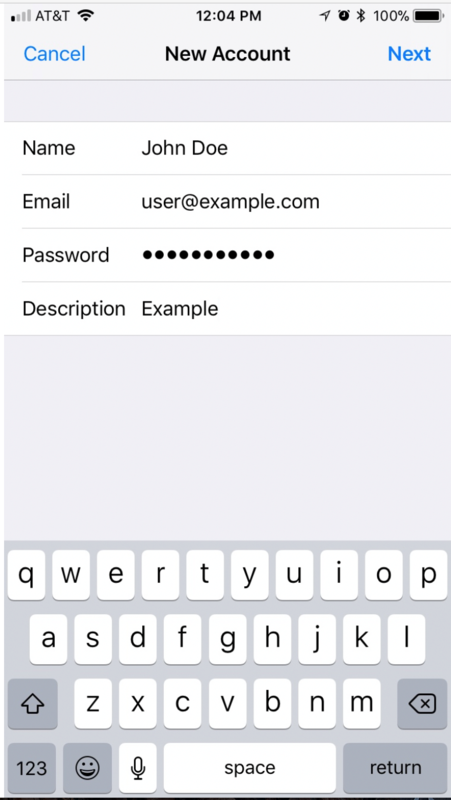 Instructions for syncing an email account with an iPhone or iPad. 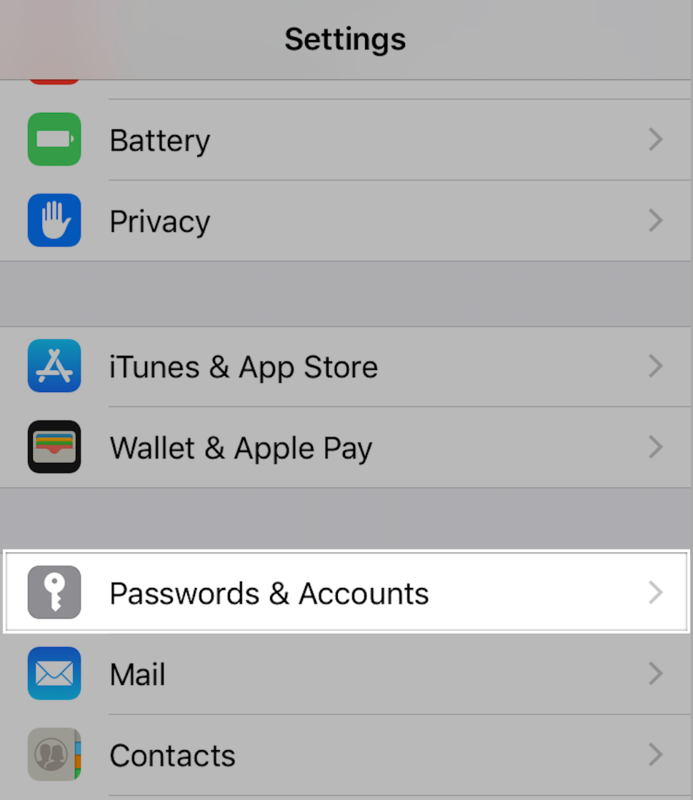 Open the "Settings" app and tap "Passwords & Accounts" from the list of options. 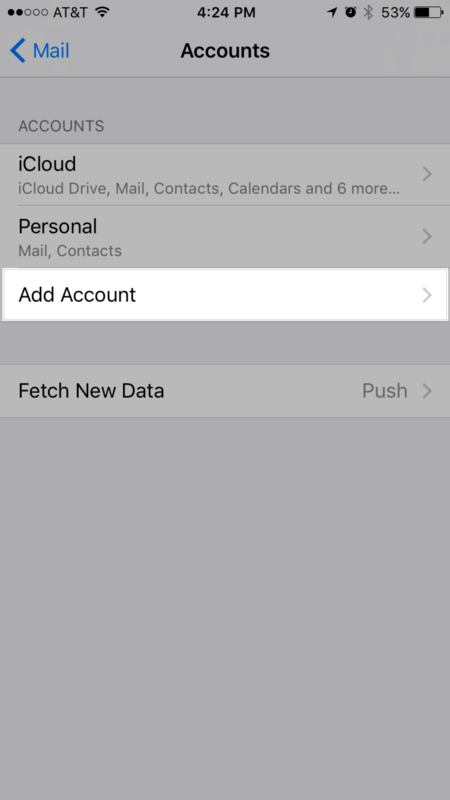 On older versions of iOS, this may be labeled "Mail" or "Mail, Contacts, Calendars." Enter your name, email address, password, and a description of your account. Then, tap "Next." 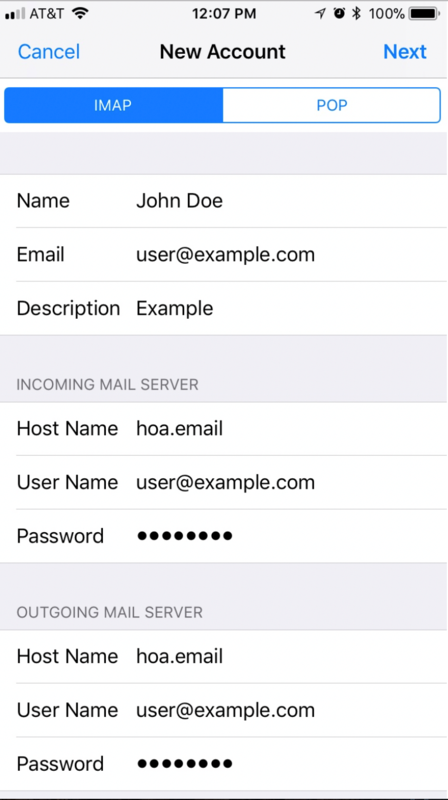 Enter the information for "Incoming Mail Server" and "Outgoing Mail Server" as shown in the example below. Then, tap "Next." Note: Please be sure to use your full email address where necessary. 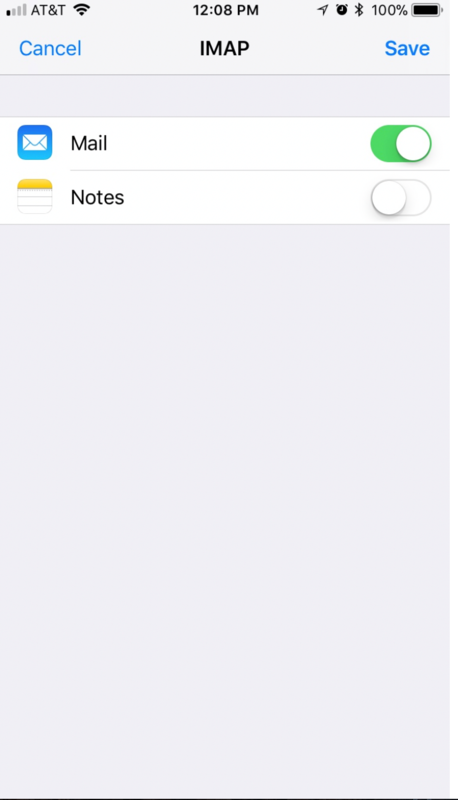 Toggle "Notes" off and tap "Save" to finish. Your email account should now be successfully synced to your device! If you have not been able to sync your email account, please contact our customer success team for further assistance.